I know a lot of people these days are creating art on top of old text from books, and it is a bit tired, but I love this. 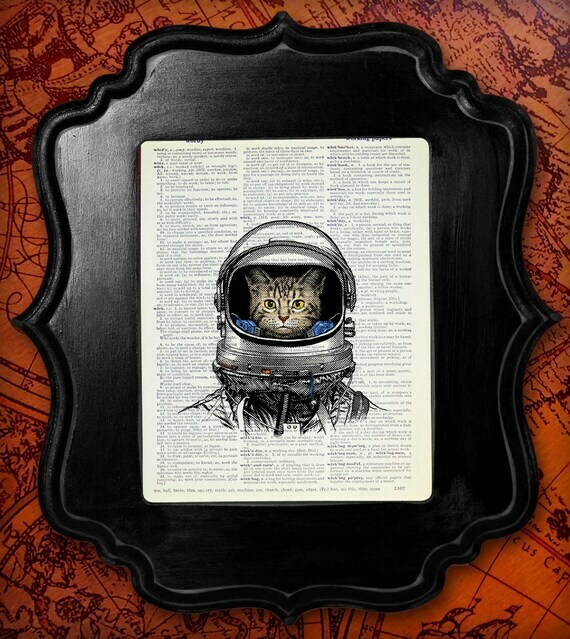 Printed on an old page from a dictionary, this space cat has a bit of sadness about him. 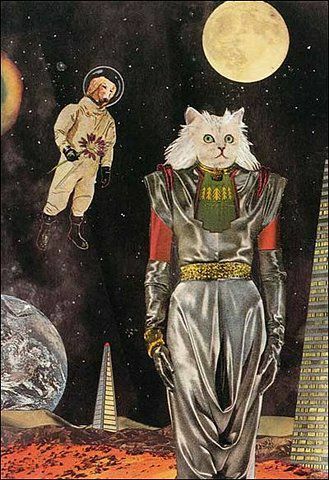 What are you looking at, Space Cat? Did something go wrong on the mission? Is your suit too big for you? Questions. Um, yes. I need these. I don’t really ever plan on getting married, but perhaps I could use these at my 40th birthday party. I also have a monthly pizza/champagne/bad movie date with friends. I need this for our monthly meetings. 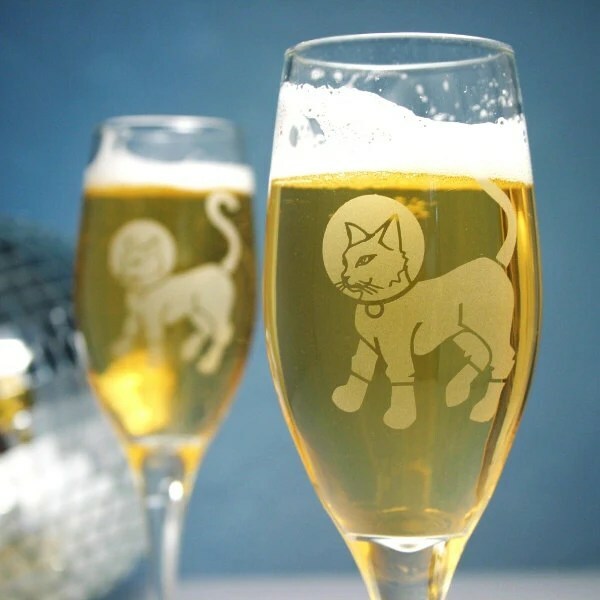 It’s also available as a pint glasses, and a couple of other sizes. The champagne flute is just about perfection, though. 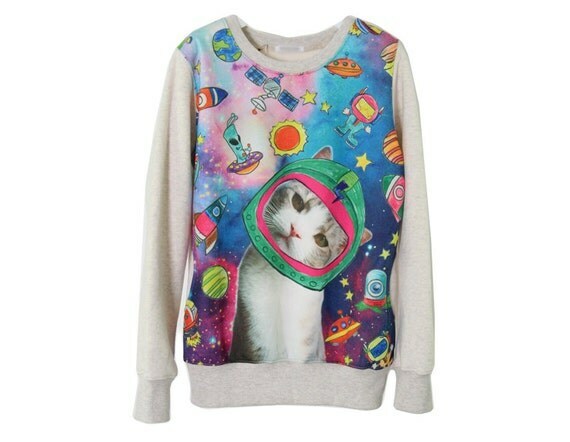 90s Cat face space sweatshirt from ZulamimiLand, $35. Ok. Let’s get serious for a minute. I’m a bit obsessed with finding decent cat-themed clothing. If I’m gonna go full force into this ‘cat lady’ thing, I at least want to have a cute wardrobe. That being said…I totally want this sweatshirt. It’s just so over the top crazy, it works. I don’t know if I believe this came from the 90s, but I don’t care. I mean, there is just so much crazy on this. I love it. 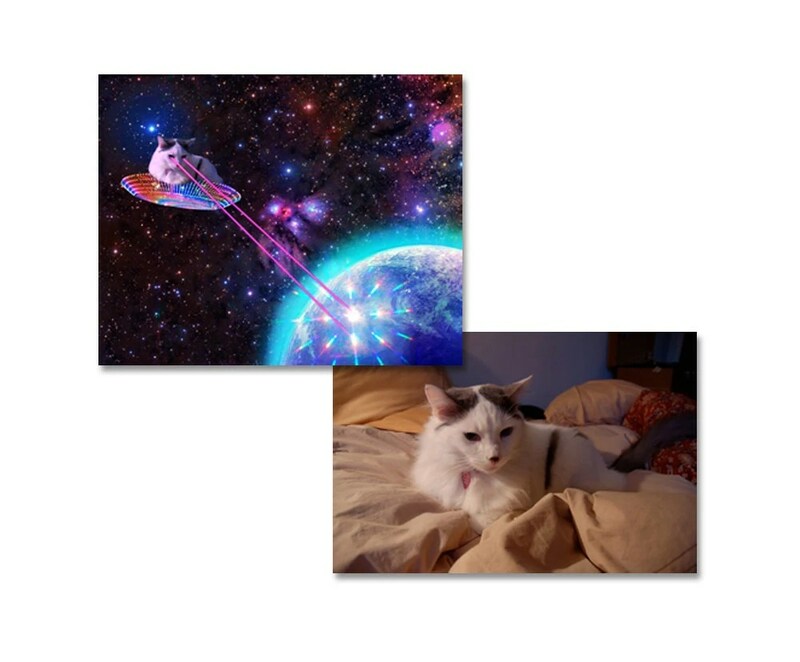 Cats in Space by DonMatthewsArt, $250. I don’t do well talking about art. I just know what I like, and I like this. Something about the tone of it really intrigues me. I don’t have much to say except that I like this. I’m gonna go stare at it for awhile. Custom Pet Art by MandyStoller, $25. When all else fails, have something made. 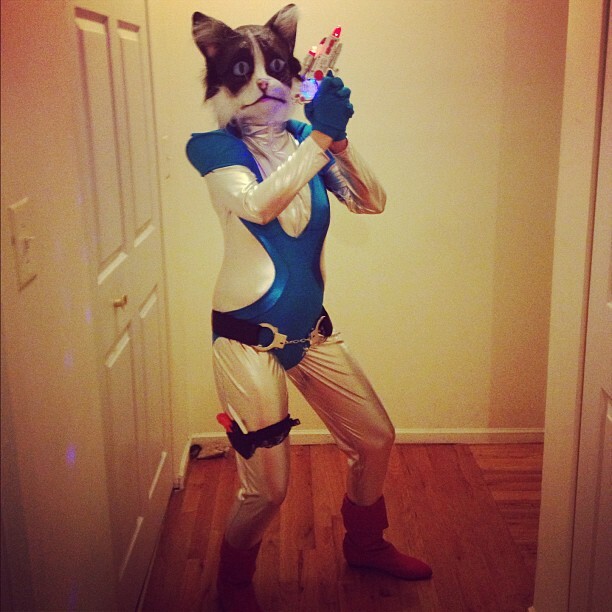 Grab a photo of your cat, send it to this lady, and BAM!, your cat is Space Cat. I’m sure I have tons of friends that could do this in Photoshop, but it might be easier to just pay this lady the $25 to do it. Laser cat destroying the Earth. Awesome.